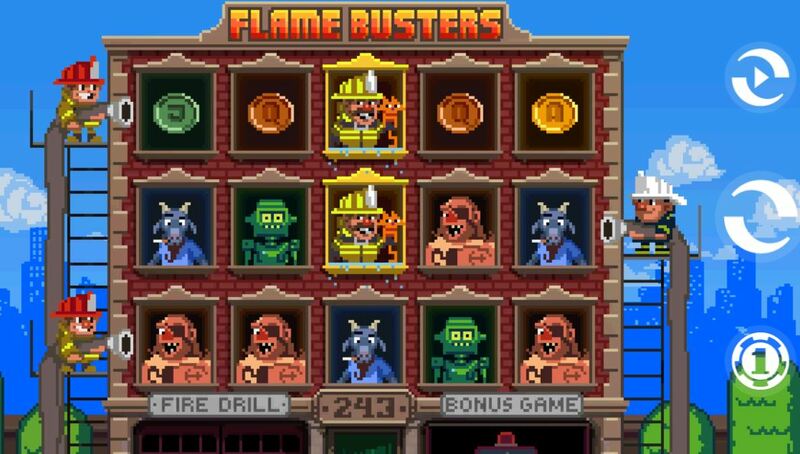 Flame Busters Slot by Thunderkick is a throwback to the 1980’s with pixelated graphics you may have seen on the first TV Console games from the 1980’s. there are 243 ways over 5 reels and 3 rows and firefighting is the theme we find here. There are Wilds on all the reels and the best pay is 10x bet for a 5-reel win. The sounds are basic compounding the retro look of the slot and there is a mystery in-play feature to start us off. On any spin one or more of the five lower-paying coin icons can ignite and the firemen at the end of each of the 3 rows will spray their hoses on them at which point they will all reveal a mystery symbol of the same type. If you see 3 red fire bells in view you get 10 free games which don’t retrigger but further fire bells accumulate in a meter above the reels and when you get 3 you move up a level and receive 2 extra free spins. 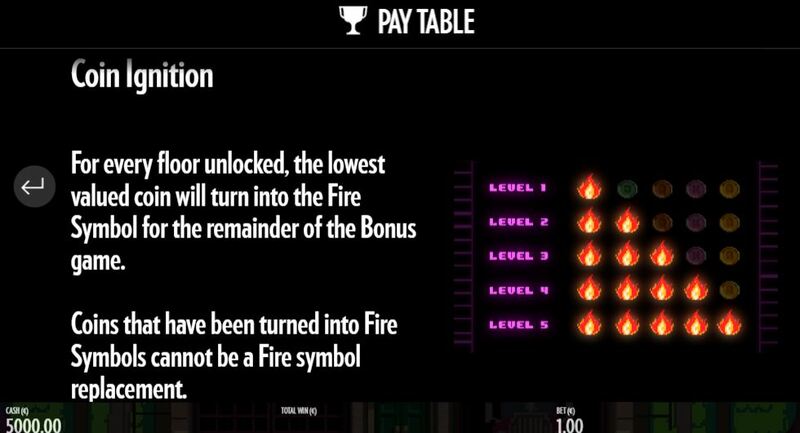 On the first level you are guaranteed the lowest-paying coin will ignite and then on the second level another of the 5 coin icons will ignite and so-on. If you’re lucky and reach the fifth screen you will be in a situation where you have at least 2 spins with all 5 coins (and there are more of these than the other premium symbols on the reels) igniting to become the same mystery symbol. With 243 ways you can certainly achieve multiple paying ways with these and if they reveal the top symbol some big pays can be had. The RTP is 96.10% for Flame Busters slot. You may also see it referred to by its full name ‘Roasty McFry and the Flame Busters’ at some casinos although as you might expect most refer to it as Flame Busters slot.